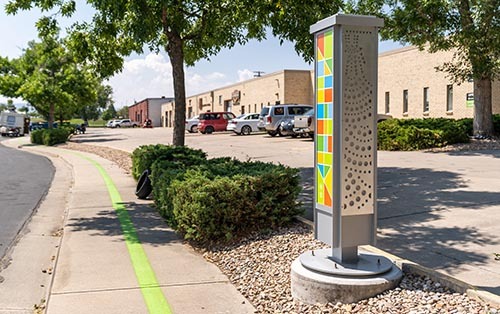 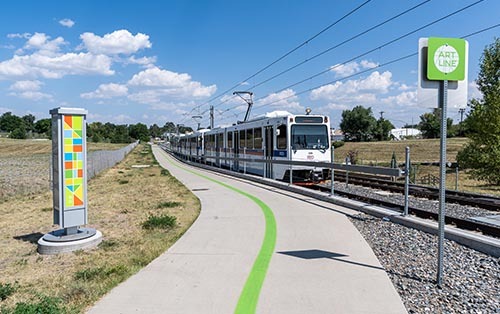 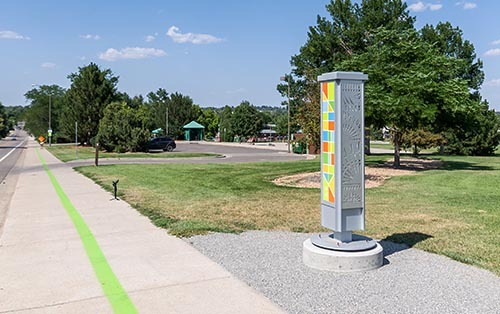 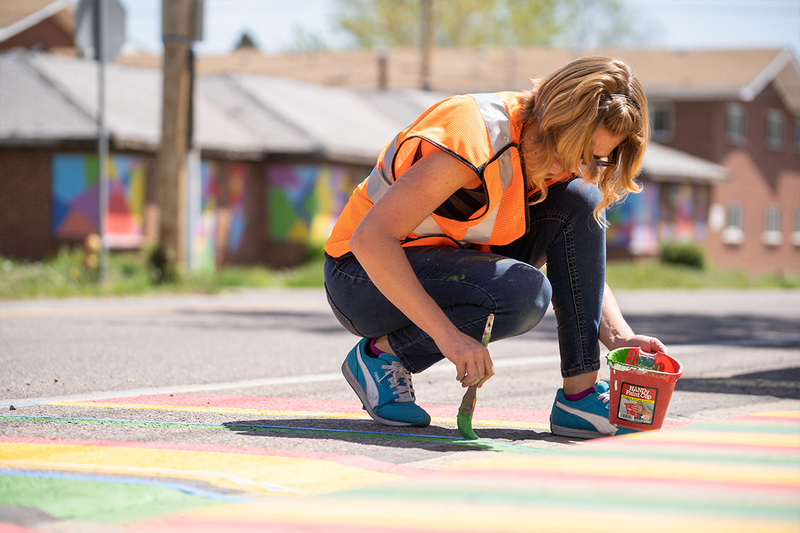 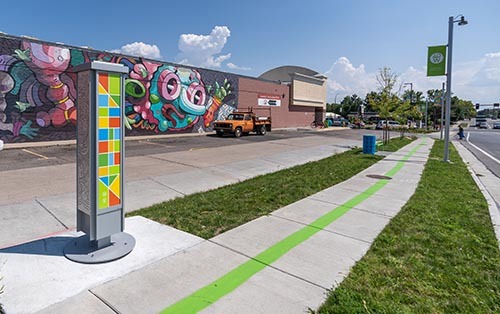 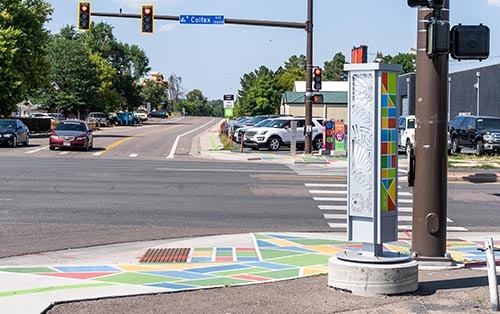 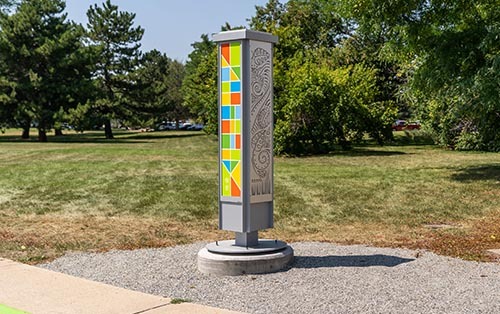 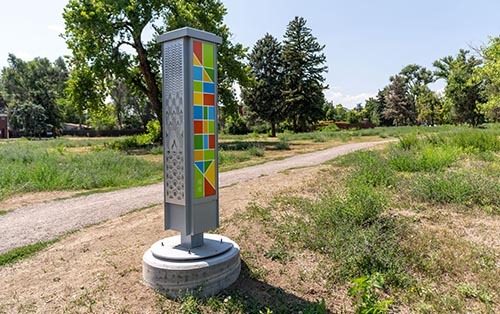 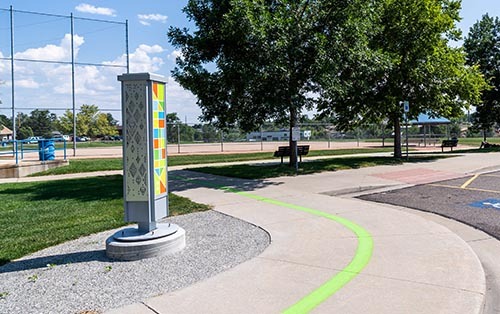 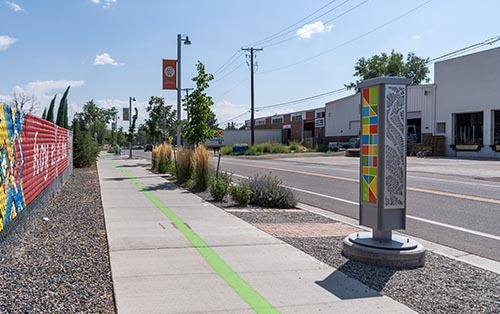 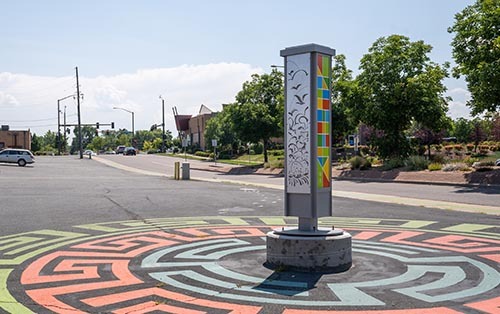 "The 40 West ArtLine's motto is, "Connecting people and places through an interactive walking and biking art experience." 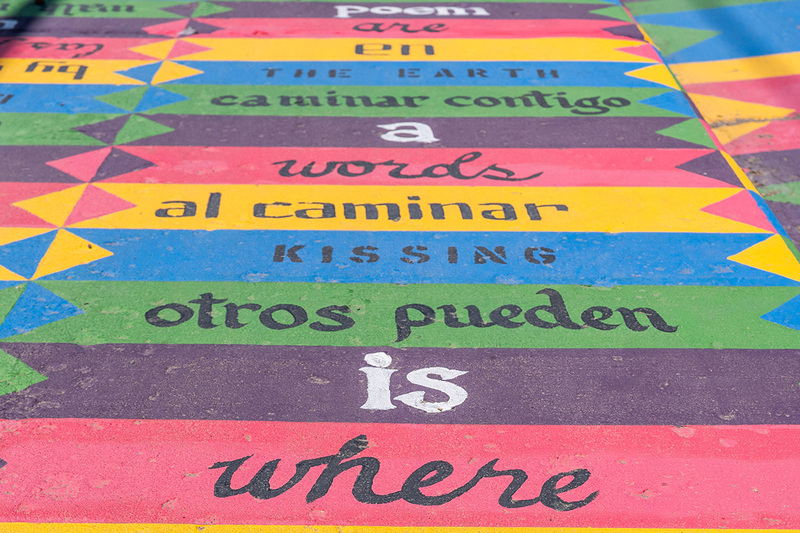 This ground game mural illustrates that motto literally, enticing passersby to interact with the words written on the ground and find some inspiration about art or related to their mode of transit. 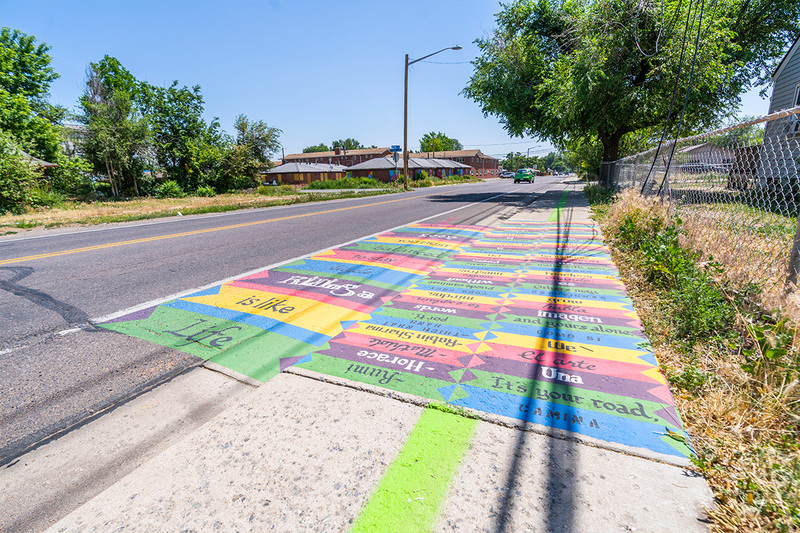 On the sidewalk, pedestrians pick a color and read the words written on that color as they move along to form an inspirational quote about the art in general or about the art of walking. 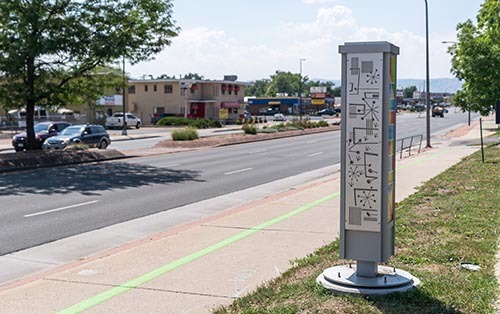 The bike lane features one, large quote that is legible while moving at a biking speed."